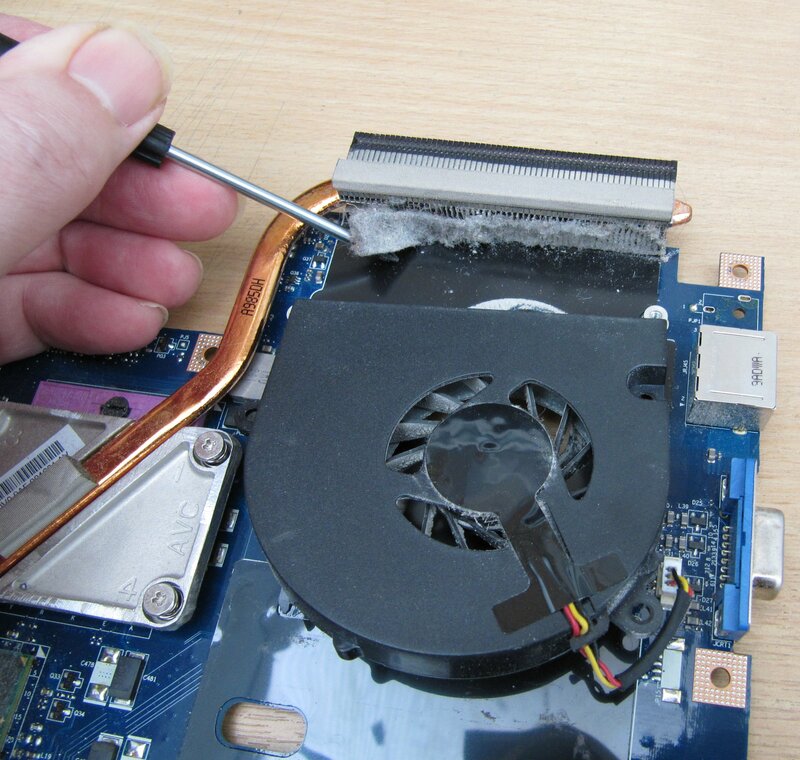 As a laptop gets older, one of the most common faults is overheating. There are two main causes: blockage of the cooling system by dust and fluff, or a faulty fan. Bad design can also be to blame but we shall not be looking at that cause here. How Does The Heating System Get Blocked? 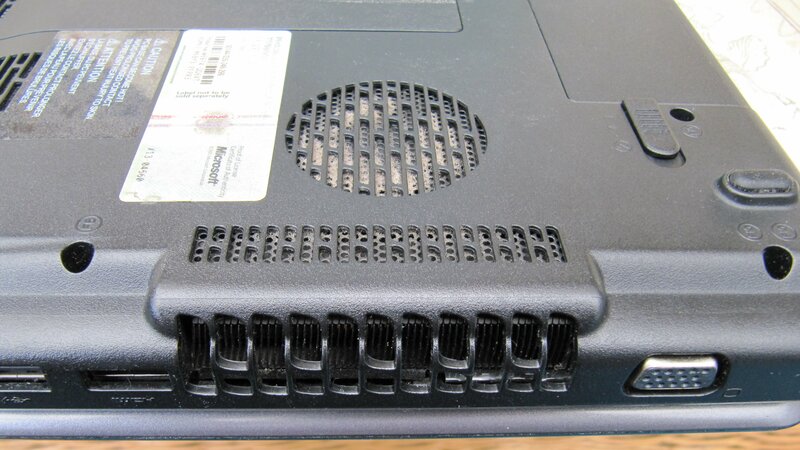 Laptops produce a significant amount of heat that is generated by the CPU, GPU and other components; this needs to be evacuated as quickly as possible. Without getting too technical, a fan draws cool air in and directs it over a radiator where the heat has been directed by copper pipes (similar to a car engine). As a result of the cool air being drawn in by the fan, particles of dust and fluff are also sucked in. It’s these particles that collect in front of the radiator, building up over time to form an impenetrable barrier. Cool air cannot pass over the radiator and the components overheat as a result. A faulty, or underperforming fan can occur due to a failed motor, missing blade(s), or some form of obstruction. 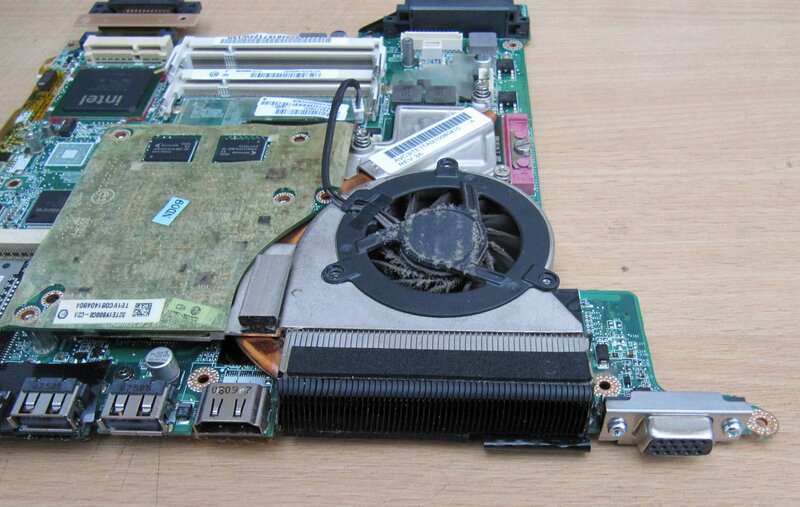 All fans eventually fail and an early replacement can extend the life of a laptop considerably. This Fan is Totally Chocked With Fluff and Dust! The laptop base gets VERY hot! It may be too hot to put on your lap! Little or no air coming from the exhaust port. The laptop cuts out or throws up a blue screen. The Laptop becomes very slow. Most laptops have a thermal cut-out in place that detects overheating and stops the machine working. However, this is not always quick enough to prevent damage to the CPU or GPU. Once this happens, there is no alternative but to replace the processors (very expensive), or scrap the laptop! Once a laptop is overheating, its useful life is considerably reduced. Despite mis-guided advice to the contrary, there is only one solution to this problem, and that is to dismantle the laptop, remove the motherboard and clean out the accumulated dust blockage by hand. It cannot effectively be removed by vacuum cleaner or poking around with a paper clip! Renewal of a faulty fan also requires the removal of the motherboard. Our repairs include the complete removal of all particle blockages and a complete cleaning of the internal laptop cavity and components. Should the fan require lubricating or replacing, we can also include that procedure. Our work is carried out extremely carefully and by our most experienced technician. After the procedure, you will be able to work normally once again, as the operating system and data will be unaffected.